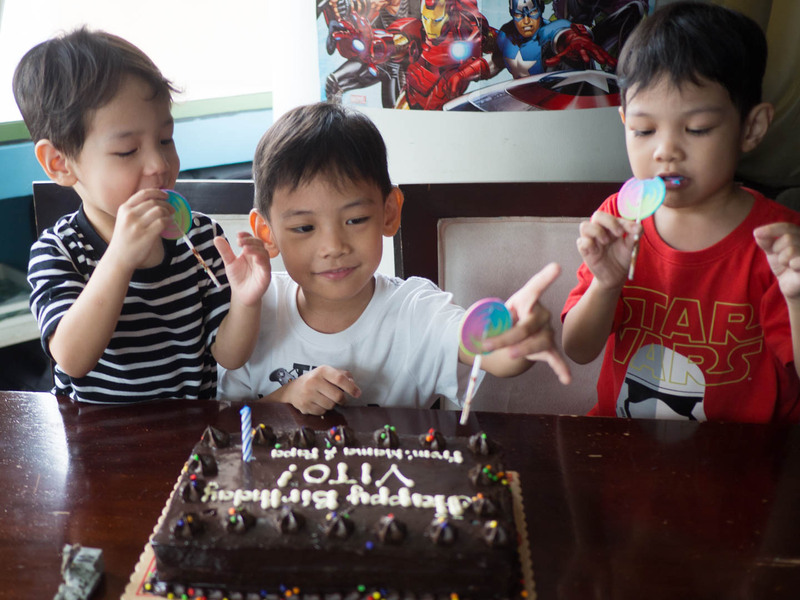 TOPAZ HORIZON: Vito is 7! Too many things have been happening these past few months (hence, the absence from the blog!) 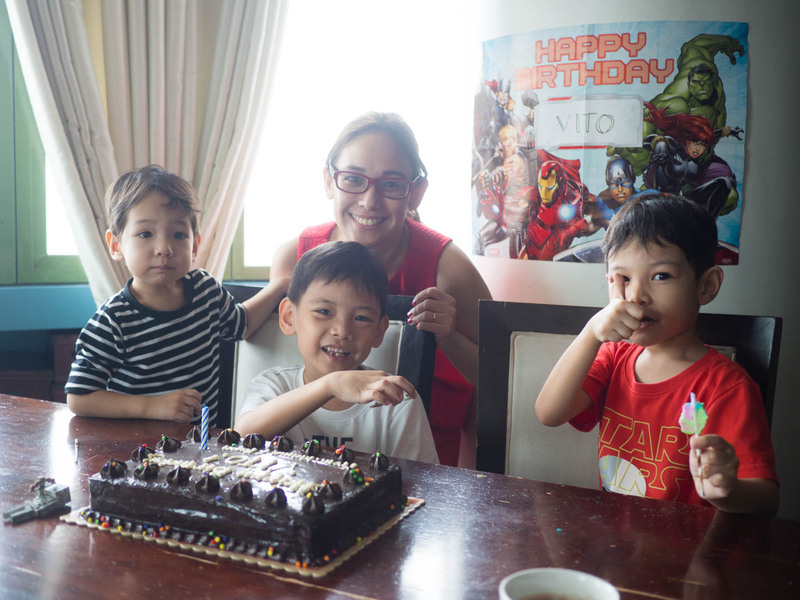 but one of the very best that happened was my Vito's birthday last August. Seven years old! Seven years of absolute joy, my friends. Absolute joy! I won't share so much about my 7-year-old son. He's aware of social media and he's aware of his right to privacy (they discussed it in school). But he allows me to post his photos now and then, sometimes he even tells me to take his picture, checks it if it (and the caption haha) meets his approval, and then he tells me to show it to my friends on the internet. He told me recently we can share a few photos from his birthday because he wants the world to know he's 7. Seven! Where did the time go? I grabbed him a few days after his birthday and gathered him into a tight hug. I didn't say anything but he hugged me back and said, "Don't worry, Mama. I'll be your baby forever." This kid! He always knows how to squeeze my mama heart! Okay, enough about him. 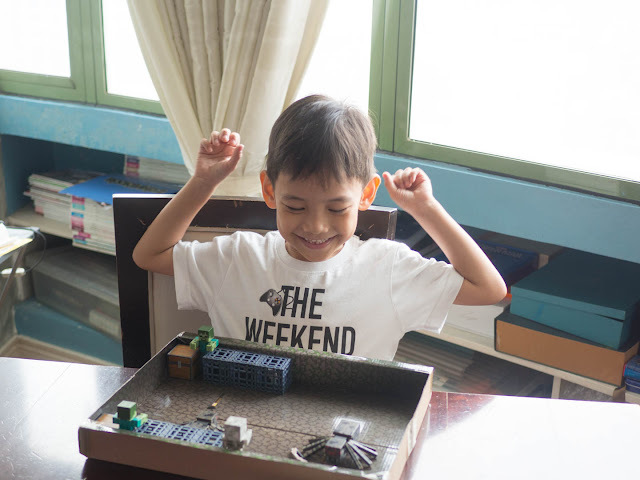 I don't want to spill too much about what a wonderful boy he is and that he's doing so well in school, and he's such a good older brother, and that he's incredibly smart and talented, and that I wish I can tell you every single detail about how this boy makes me so proud!!! Let's talk about his mini birthday party instead! Vito wanted a rainbow cake from Red Ribbon. Every time the TV commercial went on, he yelled, "Mama, come and see my cake! This is the birthday cake I want!" 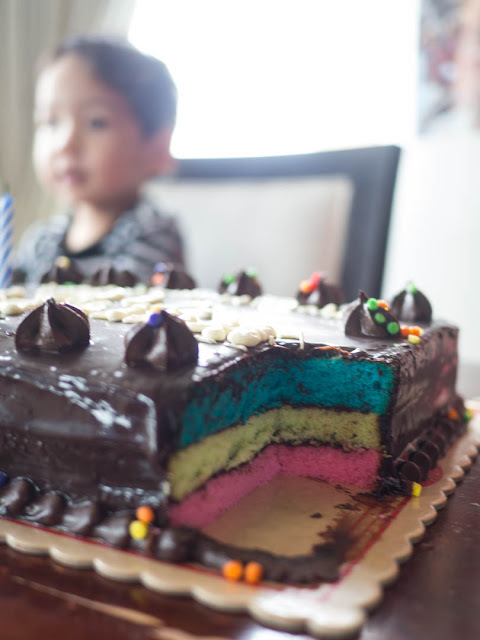 So off went his Papa to the mall and got him a rainbow cake, which actually just had three colors, but the boys didn't mind at all. They liked that it had candy lollipops. Vito also had a short list about the gifts he wanted. Minecraft was on top of his list. He's crazy good at building amazing worlds in Minecraft. He even built me a pink-and-orange house and a village, too, so I can shop. That kid, always thinking about me! Anyway, we got him a Minecraft set and his cousin got him the exact same set so Vito had two. 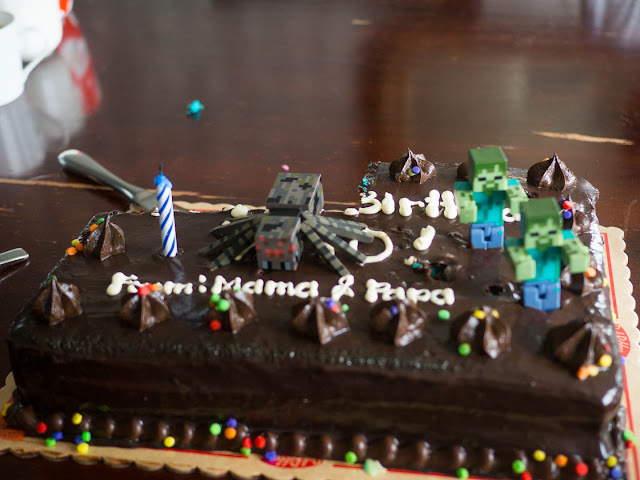 So, being the silly kids that they are, he and his brothers decided to make one set a cake topper. We had cake then he opened the rest of his gifts. Then we went to Landers because we had to do the grocery, and Vito, always the good sport, didn't complain and instead rejoiced that he can have his favorite pizza (Landers has really good pizza and chicken). Then we went home so he could rest because he was still recovering from a really bad cough. He played his video games, played with his brothers and his new toys, and went to bed early, happy and content. A sweet and simple day for such a wonderful boy! I still don't know why God gave me such a perfect little son. Oh, he's not so little anymore. In fact, he's long and gangly, helping take care of his brothers, mostly getting bullied by his younger brothers. He has so many friends in school that the other moms call him Mr Popularity. My husband and I, we were never the popular kind so this is so strange to us. I guess it's a good thing. It's always a good thing to be loved, right? My Vito. So loved. Thank You, God, for giving Vito to us and letting him show us how to love and how good it is to be loved. Reveal to him his purpose, let him grow in wisdom and compassion, and keep him safe and healthy always. I can never thank God enough for my Vito. Bless him all the days of his life!